Home » Superguides » Got a problem with your Superguide CD, DVD or Download? Check our new FAQ section before you contact technical support! Got a problem with your Superguide CD, DVD or Download? Check our new FAQ section before you contact technical support! This page contains support and FAQ for our new Windows 10 Superguide. For support with older superguides, see this link. Please try the Free Download Manager utility. This will enable you to resume an interrupted download and will vastly improve reliability. You can find out more about the Free Download Manager by viewing our tutorial here. This warning occurs because we don’t (yet) have a digital signature for our download. As a small publisher we do everything we can to keep our costs down and digital signatures can be quite expensive. Nevertheless, we understand many users are alarmed by this alert so we’re looking into the possibility of obtaining one. For now, you should simply use the workaround below to download and install your guide. Windows 10 Superguide patch 1.1 is a compatibility fix that solves connectivity issues such as the “no listening sockets available, shutting down” error. If you start your Superguide but only get a “Page cannot be displayed” error, this patch should resolve your issues. There is no need to install this patch if you are not encountering any issues. You can download the patch by clicking here. The patch will work with the DVD and digital download versions. Once downloaded, simply run the program and follow the on-screen prompts to install. Microsoft Skype is known to conflict with the Superguide, however patch 1.1 should cure this problem. You can also perform the following workaround. Click on any of the pictures below to see a bigger version. 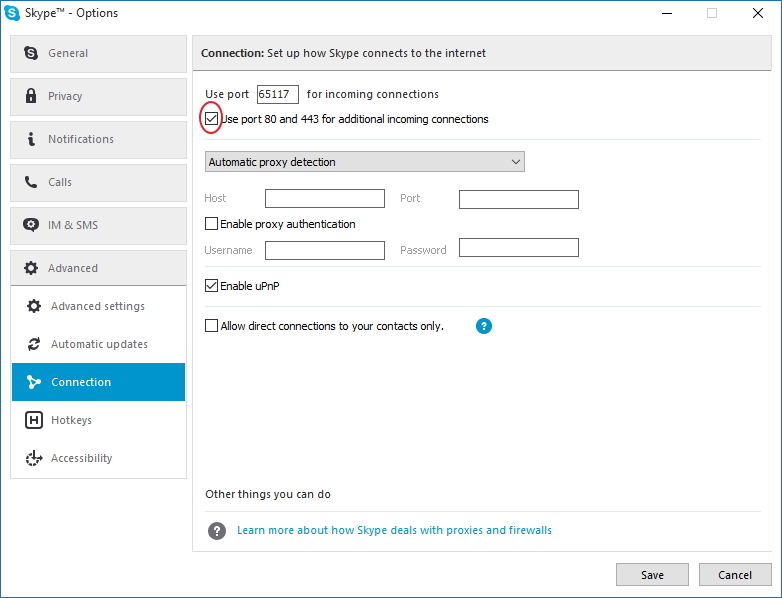 1) Open the main Skype window, the one with your contact list on the left and the advert in the middle. On the menu at the top, choose “Tools” and then “Options”. 2) On the Options window that then appears, choose “Advanced settings” and then “Connection”. 3) On the advanced options window, locate the box that says “use port 80 and 443 for additional incoming connections”. This is circled in red in the picture above. Deselect this option so that there is no tick/check mark in this box. This should not affect the quality of your Skype calls. 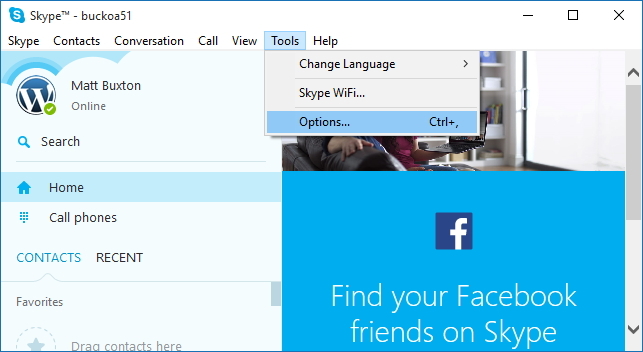 4) Click on “Save” then restart Skype. Skype and Windows 10 Superguide should work perfectly together then. Why does my firewall/security software tell me that Apache is trying to access a network/internet address of 127.0.0.1 when I start the guide? 127.0.0.1 is a special network address called the localhost or loopback address. This is not an address on the internet, it actually points to the computer itself. The discs work like a self-contained website that runs on your PC, so the 127.0.0.1 address simply tells Internet Explorer or your preferred web browser to connect to the website running on your computer rather than the internet.